Day 2 : Start your adventure with a great dive in Angel Reef at Moyo Island. Visit the local village then its lunch for us ! Then we cruise to Satonda Island for a macro dive followed by a world class night dive after watching a million bats fly at sunset. After a great dive and dinner we cruise overnight to Sangeang Volcano off the north coast of Sumbawa. Day 3 : The Nusa Tenggara region has some extremely interesting and unique marine life. Today we spend the day diving around Sangeang Volcano – 2-3 dives for rare nudibrancs, pygmy seahorse, leaf scorpion fish, blue ribbon eels, black sand diving with all its treasures and underwater hot springs that support this very unique marine environment. Night dive here too or head on over to Gili Banta for the chance for Star Gazers and coral cat shark. Day 4 : Current depending, we start the day at GPS Point Gili Banta famous for its sharks and pelagic fishes. 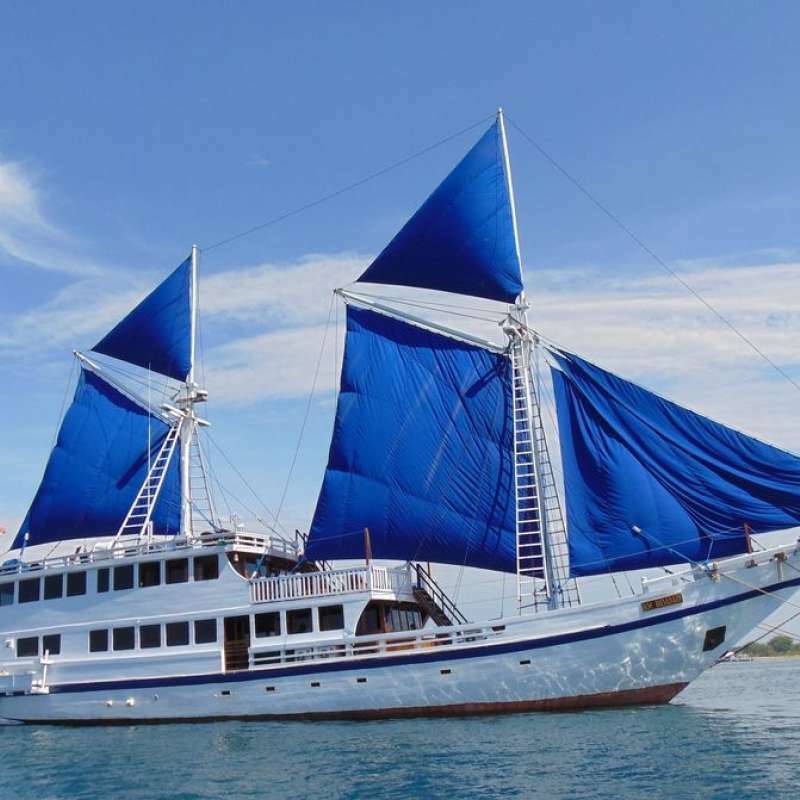 Then we enter the Komodo National Park and for more exhilarating blue water/fish soup diving !Gili Lawalaut has several great dives – if the tide is right we hunt grey reef shark and dolphin at Taka Toko Gili Lawalaut. Lighthouse Reef and The Old Passage offer fast drifts with pelagics, maybe manta ! Crystal Rock offers awesome soft corals in gold and orange hues plus the chance for sharks, turtles, Giant Maori wrasse, a ‘fish soup” dive. Tonight we dive the famous Pink Beach – spectacular colours and Frogfish, slipper lobster, basket stars, robust sea cucumbers unique to the area plus more ! Day 5 : Start your day with visit to Loh Liang Komodo National Park to walk with the dragons ! Then relax as we cruise south to dive the Three Sisters or Pillarsteen at Padar Island. Next stop is a diver’s paradise – Horseshoe Bay Rinja Island – home of one of the top 10 dives in the world- Cannibal Rock. Here we can also watch dragons scavenging on the beach, monkey, deer, wild pigs along the shore, go beach combing…. Maybe even a chance to follow whales and dolphin feeding in the calm bay. We overnight at this peaceful place, diving at one of the many fabulous spots. Day 7 : Today we’ll head on over to Manta Alley. In the afternoon we can check out more big fish dives maybe at Loh Serah, Tatawa Kecil or the infamous “Current City” Batu Bolong – come face to face with reef sharks, turtles and giant Wrasse. Many good night dives around here – Gili Darat is great for sleeping turtles, colourful reef stonefish, Spanish dancers – calm sea – a good place to sleep. Day 8 : The diving around Gili Lawalaut, Tatawa Kecil, Gili Darat is so awesome you will all want more so today we make 2-3 dives in clear arm blue waters – loads of fish both big and small. 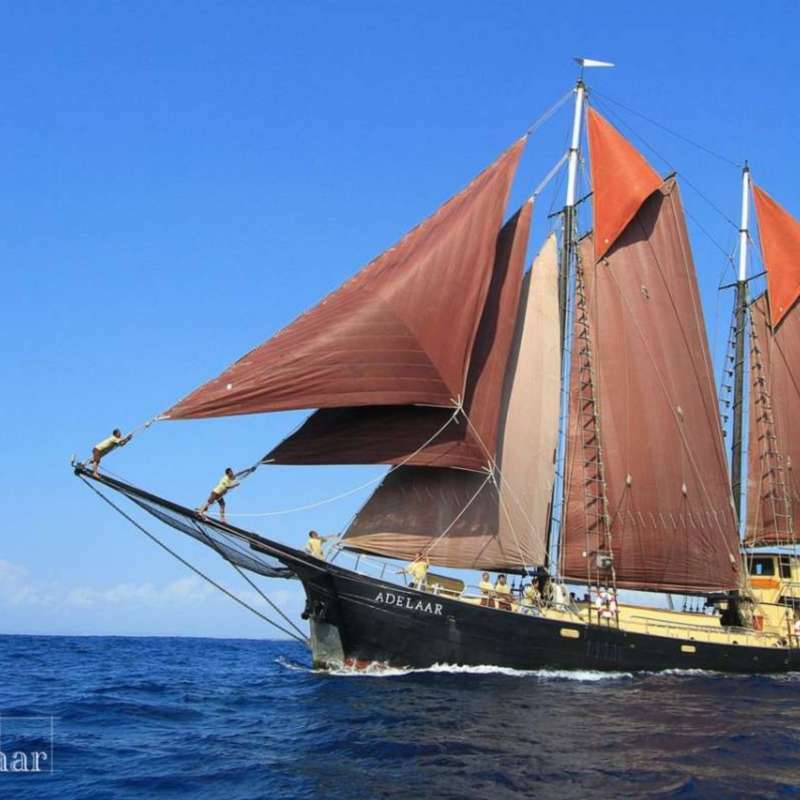 Then we’ll head off for a night dive at either Gili Banta or maybe Batu Putih in Sumbawa – both interesting sites. Overnight we cruise back to Satonda and Sumbawa – solar powered nudibrancs, ghost pipefish anyone. Day 9 : We enjoy two good dives around Sumbawa and Moyo Islands. Then the crew wash your equipment for you while you relax on the sundeck or downloading your pictures, enjoying our trip video as well just before dinner with all your new friends. 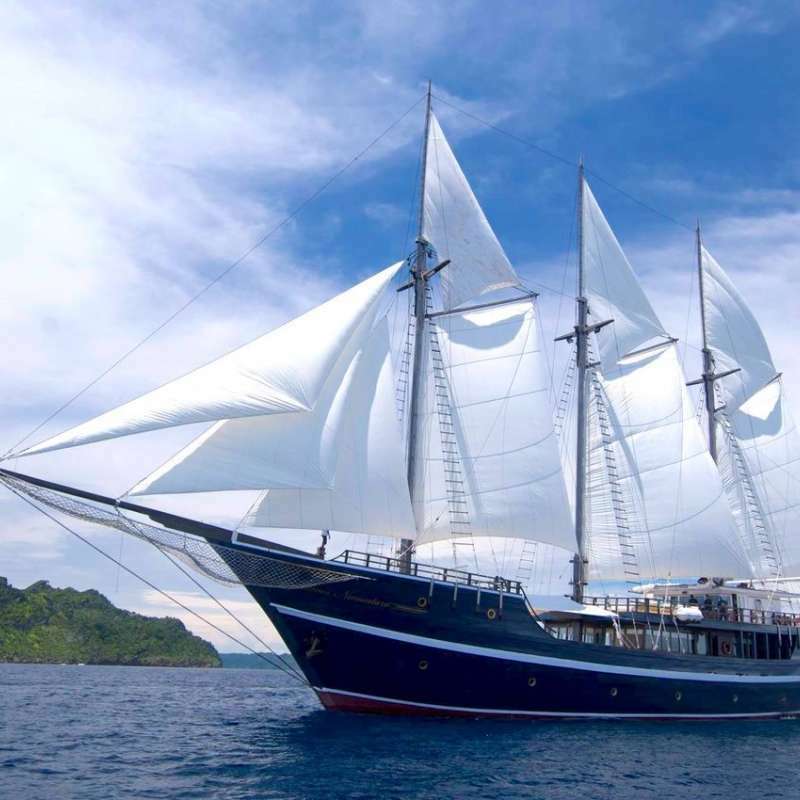 One of my colleagues recommended this boat for diving the best of Indonesia, sure it is! The boat was really comfortable, Everything is functioning well. There was loads of space in our cabin and in the shared spaces all around the boat. The beds in the cabins on this boat were better than any we have experienced before, the food and wine selection was a real bonus, plus very attentive boat crew, and dive staff. Dive briefings were really fantastic. The majestic encounters of manta rays, reef sharks, pristine corals, critters, and drift dives were the best thing to experience in diving Indonesia! Highly recommended. tout d'abord les plongees a rajah ampat sont surement les plus belles et les plus riches que j'ai pu faire jusqu' a maintenant avec bien sur le must du Ballet de raies mantas a en avoir les larmes aux yeux .Quand au Mermaid ...que dire ?le luxe a l'etat pur belles cabines ,un equipage au petit soins j'ai jamais vecu ça :c'est simple t'as rien a faire il s'occupe de tout.... T'as plus qu'a plonger .Serviettes chaudes et peignoir au retour des plongees .Tu ne rinces même pas ta combi et tu peux laisser trainer ton matos sur le pont tu le retrouves bien range a sa place :Incroyable!! .Même nos valises on été emmenées et enregistrées pour le vol du retour ....Cote repas c'est non seulement scandaleusement abondant mais aussi delicieux et raffiné ( 2 collations et 3 repas par jour vous en prenez des kilos! et mention speciale pour le" 4 Heures ")On a apprecié aussi les sorties en zodiac sur les iles .Vraiment c'est le bout du monde pour y aller mais on a qu'une envie y retourner et avec le mermaid .Ah bien sur faut savoir parler l'anglais j'ai honte et j'ai souffert ;) .